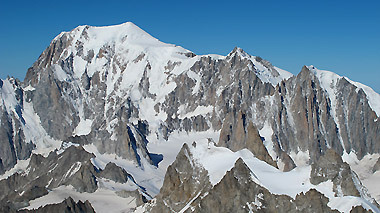 Aiguille du Toula 3.538 mt. Easy and short ascend, where you can hone your mixed climbing skills, also suitable for beginners. Departure from La Palud with the telecabine of the Monte Bianco to the Punta Helbronner 3462m. From there, after you have reached the Col di Toula, ascend to the summit, passing through mixed terrain with passages of easy rock scrambling.